Which shape can I make with these sticks ? What shape do you think of when seeing these pics ? 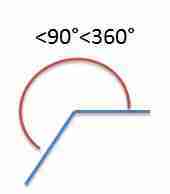 The diameter is a straight line that passes through the center of the circle and cuts it in two equal parts. A star is like a pentagram.